The CEO of the natural cosmetics brand essentiq has two teens at home, an eleven and fourteen-year-old. Like most teenagers, these two have faced their share of spots and blackheads. As a result, essentiq has set the task of creating skincare that is appropriate for the treatment of teenage skin problems. The brand came to the conclusion that the most important factor when it comes to a skincare regime for teenage skin is regular cleansing. It just so happens that this is the step that is often omitted in their skincare routine. Teenagers should take it upon themselves to cleanse their skin every evening. A gel cleanser should be used twice a day for optimum results - in the morning and in the evening. This step can be done while under the shower. A face scrub is recommended when subcutaneous spots surface (but can also be used up to twice a week). However, it is advised to refrain from using a face scrub on the areas of the skin that are thin (e.g. the cheeks). 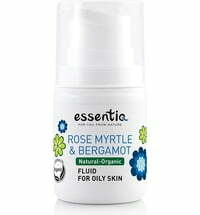 essentiq has formulated a special fluid for teenage skin that can also be used by those suffering from oily skin: Rose Myrtle & Bergamot. This fluid is based on water and combined with aloe vera gel and polysaccharides. The special composition ensures a light-weight texture that is quickly soaked up by the skin making it ideal for oily skin types. The key ingredients are rose myrtle, saw palmetto and juniper fruit extracts as well as the oil extracted from bergamot shells. These ingredients unite to unclog the pores and reduce sebum production in order to fight skin problems. The moisture levels and skin radiance are improved. Organic fermented hyaluronic acid is contained in the fluid alongside ximenia bark extract, glycerin, allantoin, panthenol and bisabolol. Even oily skin types require protection during winter. 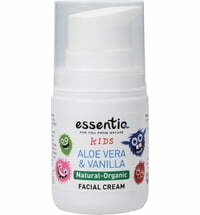 essentiq thus recommends the use of their KIDS Aloe Vera & Vanilla Kids Facial Cream due to its light-weight and fast-absorbing oils that do not cause any excess greasiness. 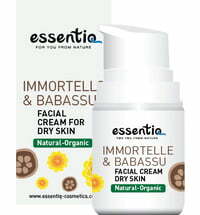 If, however, the skin of the cheeks is rather thin, it is advised to opt for the essentiq Immortelle & Babassu Facial Cream for dry skin during winter instead. In short, teenagers should start off by cleansing the skin with the Green Lemon & May Chang Face Cleansing Gel followed by the Olive & Rosehip Natural Face Scrub and finishing off with the Rose Myrtle & Bergamot Fluid. Follow this skincare regime when spots first start to surface to avoid any inflammation from occurring.